ALTAYA JAMES BOND 007 COLLECTION- T55 BATTLE TANK GREEN 1:43 SCALE. 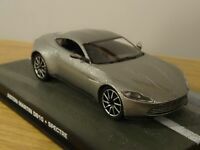 ALTAYA JAMES BOND 007 COLLECTION - ASTON MARTIN DBS METALLIC BROWN 1:43 SCALE. plmodels2 has no other items for sale. Details about ALTAYA JAMES BOND 007 COLLECTION - RANGE ROVER CONVERTIBLE 1:43 SCALE. 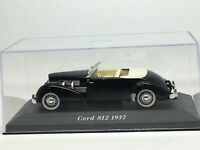 ALTAYA JAMES BOND 007 COLLECTION - RANGE ROVER CONVERTIBLE 1:43 SCALE. 'General Information, Terms & Conditions' We provide a Professional and Friendly service. For your information - Trade Photos may be used in some Listings. Items are checked as far as is possible before dispatch (some items cannot be checked if they are contained within sealed boxes) and securely packaged in sturdy cardboard boxes or padded bags, when applicable. The packing materials are included in the postage charges. All orders are sent Recorded/Signed For Delivery (As per Ebay & Paypal Recommendations). We operate one of the fastest Dispatch times on ebay. If we have received your cleared payment before 11am (Mon-Fri UK time). Then your item will be dispatched the same day. If we receive your cleared payment after 11am then it will be dispatched the next weekday or in other words within 24hours. This does not apply to weekends or Public Holidays, because their is no postal collection on those days! We will notify you (via ebay), when your parcel has been posted and inform you of the Tracking Number, if you require it. If you have any questions please feel free to contact us. But check the Q & A section first. You may find the answer you are looking for there. Just click on the 'ask a question' link below. Overseas customers. You will have purchased your postage/shipping through the Global Shipping Programme, which is an eBay company with no connection to PLModels. Once you item has been received by this company they take over the responsibility to deliver your item. PLModels will not be held responsible for any loss or damage during this process. If you have a query in respect to their service contact them direct. PLModels will not be responsible for any item purchased by a Buyer, which is either altered/modified by either the buyer or a third person after the sale. If such an item is returned as faulty only a partial refund will be given. PLModels will not be responsible if either a modified/altered item causes either injury or damage to another person or object. If their are any problems with your purchase, please contact us first before leaving Negative or Neutral Feedback, and we will endeavour to put things right. Please Note. The Appropriate action has been taken in the past and will be taken in the future, with any attempt to leave Malicious/False/Unwarranted Feedback. Or any attempt of Deception/Extortion which includes Returned items. Thankyou.